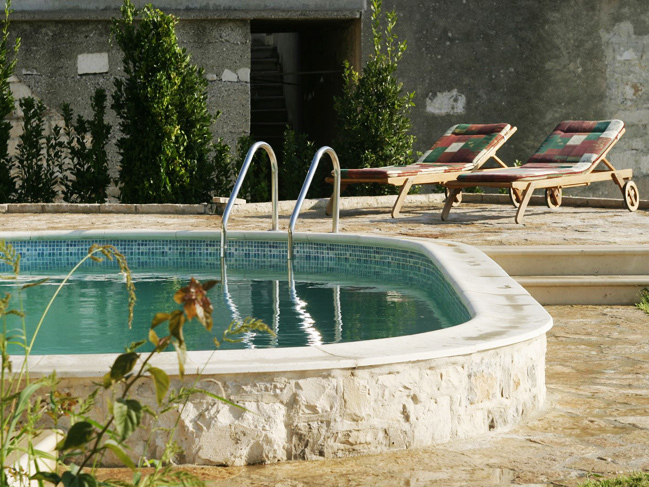 Old Dalmatian stone villa in Sumartin on Island of Brač Croatia This renovated old Dalmatina stone house - villa is situated in the centre of the picturesque village of Sumartin on Croatian island Brač in Croatia and right by the sea. 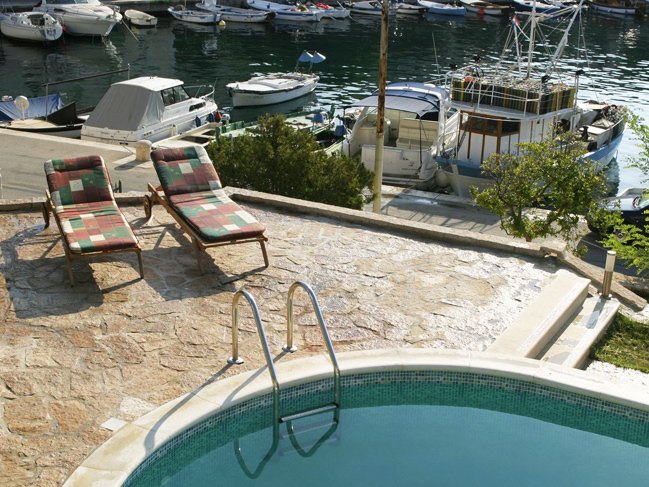 This Brac villa is situated right by the sea in the centre of the picturesque village of Sumartin on central Dalmatian island of Brač. 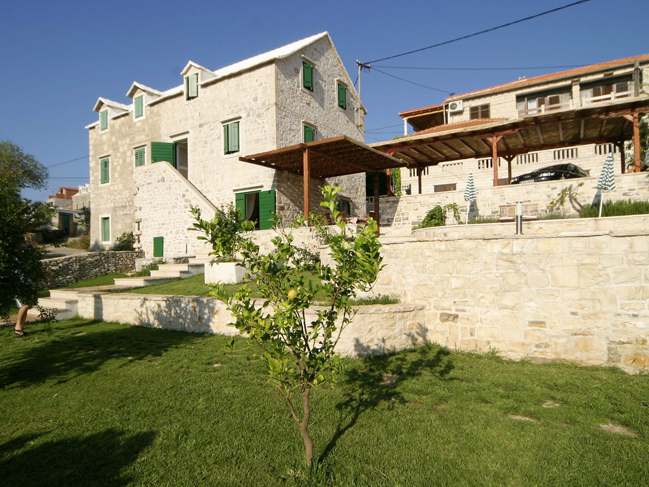 It is a traditional Dalmatian stone house and was completely renovated in 2004. This charming three-storey house has 3 bedrooms (two on the first floor and one on the second), a kitchen/dining area on the ground floor, 2 bathrooms with toilets and a separate WC, a large garden with a private pool and parking for 2 cars. 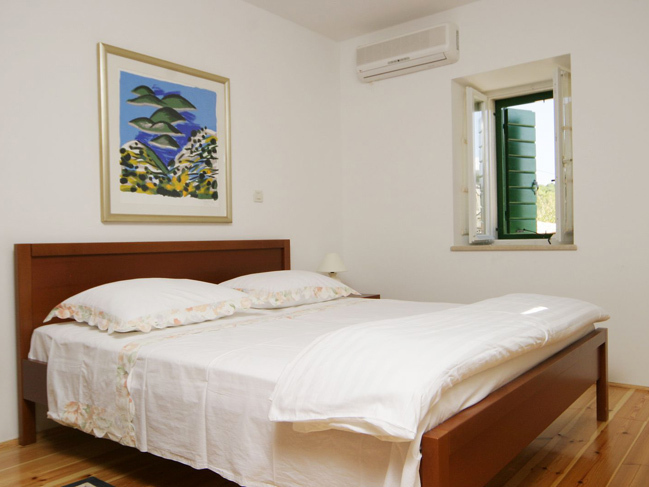 To make your stay on Brač Island as pleasant as possible, the villa has been equipped with all the equipment you might need and the interior and grounds have been tastefully designed. 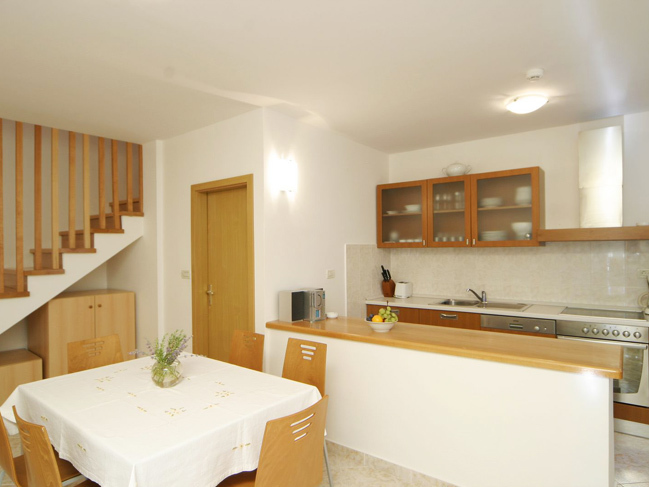 To protect your peace and privacy, villa is only available as a complete unit, with garden and pool. 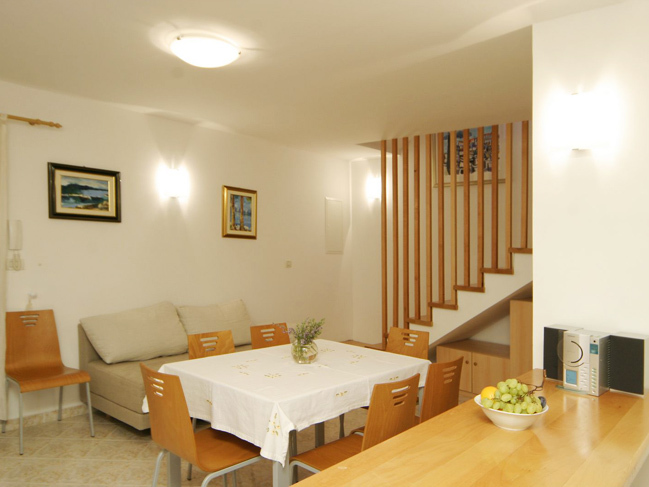 The position of the villa in the centre of Sumartin means that it is close to shops, restaurants and coffee bars, and the nearest beach is a ten-minute walk away. 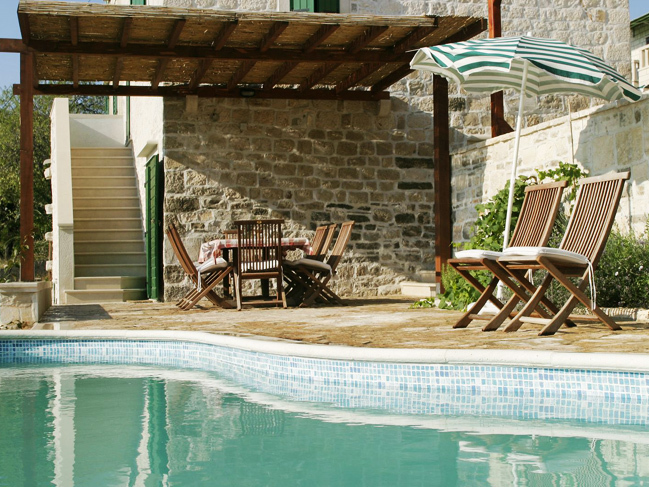 This dalmatian holiday villa with pool is ideal for family holidays or groups of friends who want to spend time together while enjoying the natural bounties and delicacies of Brač Island. 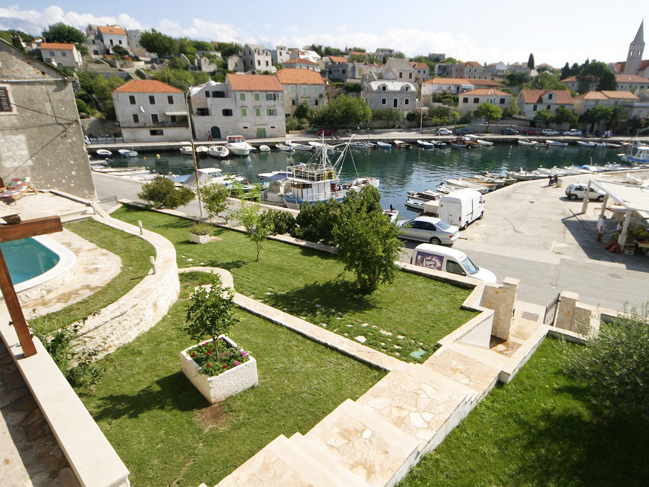 Those who prefer more entertainment and activity can easily visit Bol, which has a lively nightlife and plenty of sporting activities.